Insya Allah…it will ease ur sadness, problem, trouble.. Many of us know surah ad-duha off by heart and have probably read its meaning many times as well, which seems quite straightforward. How many of us, though, have actually gone into the reason behind its revelation and derived the lessons and implications this surah has in our lives? 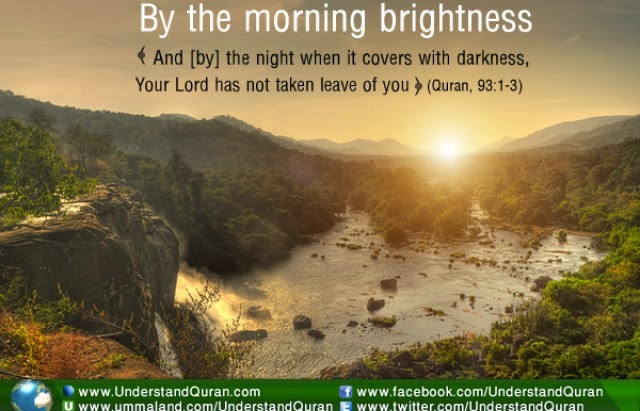 This surah was revealed to Prophet Muhammad (saw) at a time when he had not received any revelation for six months, not even in the form of a dream! The Prophet (saw) was in a very disturbed state of mind, feeling negative and depressed and believing that Allah was displeased with him, had forgotten him, and did not want him as a Nabi anymore. Don’t we have similar feelings in our lives? Times when our level of imaan is low, our khushoo in salah wavers and we feel a drop in our connection with Allah? We feel like our duas are not being answered, our salah is not having a positive impact on our hearts, and worst of all the feeling that we’re horrible human beings, that Allah doesn’t love us or doesn’t care about us anymore. Next Post Angry Often? Seek Refuge!